« I Say Again… Curse IKEA! IKEA actually has replaced the Swedish rye bread I used to buy, so I can’t be pissed off anymore. And I have to take back all I said about IKEA not caring about providing whole-grain black bread (See previous post). Their brand product is seen in the photo provided. 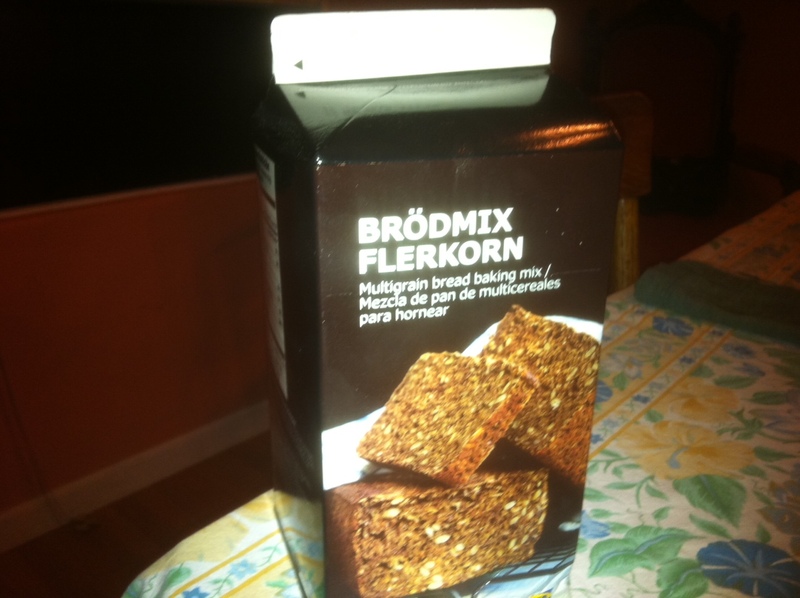 I don’t yet know how Brödmix Flerkorn tastes, so it may still be inferior to the old stuff. But at least I’ve got hope. By the way… black bread tastes great with mayo and vine-ripe tomatoes, so this is a good season to try it. This entry was posted on August 5, 2012 at 7:01 pm and is filed under Uncategorized. You can subscribe via RSS 2.0 feed to this post's comments. You can comment below, or link to this permanent URL from your own site.